'Chinese sausage' is the generic term referred to the many different types of sausages from China. Is named lap cheung, or lap cheong because it was usually made during the lunar month of December, the 'Lap' Yuen (臘月), in Mandarin. ‘Chinese sausage’ is the generic term referred to the many types of sausages from China. It is named lap cheung or lap cheong, because it was usually made during the lunar month of December or ‘Lap’ Yuen (臘月), in Mandarin. Ingredients can be really different from region to region and even from shop to shop, ranging from being made with fresh pork to others made using pig livers, duck, turkey, even blood (as in the picture above, the darker ones). 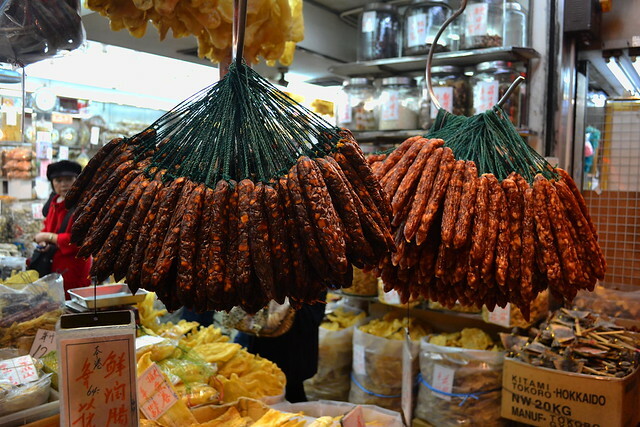 What binds any kind of Chinese sausage made is an extremely sweet flavour and an emulsified texture that makes it taste like meat candy with fat. 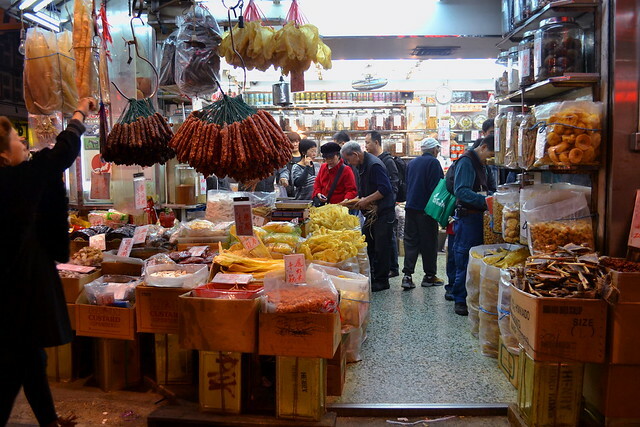 Cantonese sausages, on the other side, are usually more balanced in flavour, meat-fat proportion, and amount of spices. They can be sold dried, baked or smoked. The most common way to cook them is by steaming or boiling, but they are sometimes rolled and baked with other dim sum dishes.